For over 40 years, East Tennessee Diamond Co. has been one of the most trusted names in jewelry in the Morristown region. We are a well-established jewelry store that has grown with our community from a small store to a multiple brand jewelry retailer. We have served generations of families as their trusted jeweler for brilliant diamonds, beautiful fine jewelry, elegant watches, treasured gifts, custom made styles and expert jewelry repairs. East Tennessee Diamond Co. is committed to make every customer "feel at home" with our personalized service and our classic to cutting edge jewelry designs. Our years of experience and services have built a legacy of integrity and trust with our customers. Our Promise at East Tennessee Diamond Co. is to provide our customers with a shopping experience that will exceed their expectations of our store, our merchandise and our service. Providing you with exceptional attention with every visit to our store. Helping you celebrate your life's special occasions. Providing superior value in terms of merchandise quality, price, selection and satisfaction. A commitment to conduct ourselves with integrity and exceed our customer's expectations in every facet of our business. East Tennessee Diamond Co. guarantees you full satisfaction and value for your money. We are obsessive about quality. We deal with the finest manufacturers across the globe that follow the highest standards of workmanship. We inspect every piece of jewelry and makes sure it follows our strict internal standards of quality control. Our approach makes it possible to offer our customer ultimate satisfaction from every perspective, be it precious metal casting, stone setting, polishing, finishing, style & designs or before & after sales services. No question is too insignificant. You will receive personalized service and you can expect our strict attention to every detail. We personally select each piece of jewelry, diamonds and gemstones in our cases. Since we sell only what we ourselves carefully selected and inspected, we have unrivalled quality control. At our store you can compare different pieces side by side, see, feel and appreciate the difference quality makes. At East Tennessee Diamond Co. the passion for beautiful jewelry and friendly service is obvious. From our buyers who scour the world for that perfect gift, to our friendly sales team whose vast knowledge of both products and people can help guide you through the most difficult of purchasing decisions. 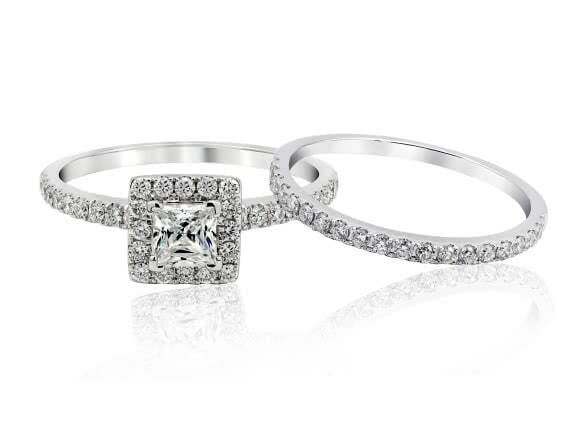 From engagement rings and anniversary bands to that perfect Christmas and Valentines Day gift, ETDC offers you the ultimate shopping experience. When you buy from us, you will get good advice from a professional, someone who eats, breathes and sleeps jewelry. We have gemological training, read professional journals to keep up to date, travel to trade fairs and seminars and learn all about the products we offer. We can help you be an educated buyer and choose the jewelry that is just right for your lifestyle. We assure you that your visit with us will be pleasant.